New jobless claims were higher than expected this week. The Labor Department’s weekly report showed that new filings for state unemployment rose to 297,000. The median forecast was for new claims to have fallen to 275,000 from last week’s figure of 282,000. This was the highest level in over four months and pushed the four-week moving average up to 297,000. Continuing jobless claims also showed a higher tally this week at 2.3M up to 26 June. The dollar held firm after the disappointing jobs data as traders focused on the wider picture, namely China. The US dollar index was up half of one percent with the greenback making gains against most of the majors. 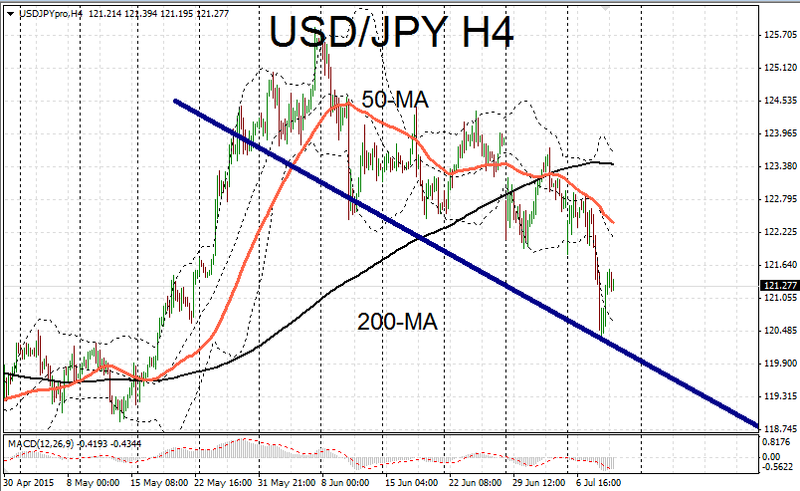 The dollar rebounded over half of one percent against the yen. 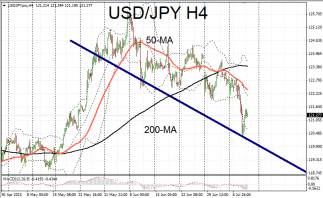 USD/JPY recovered yesterday’s steep losses and moved back up to 121.3. The yen eased back a notch after Asian stock markets underwent a sharp recovery. This initiated a reversal of some of the safe haven funds.